Salem College has become the first college in North Carolina, and one of the first in the U.S., to affirm the international Charter for Compassion, which encourages a compassionate campus community in observance of the Golden Rule; to treat others the way you want to be treated. Sara Otero, president of the Student Government Association, said that more than 10 percent of Salem’s 541 traditional students signed a resolution affirming the charter and that the school’s Legislative Board approved the decision to endorse the charter. 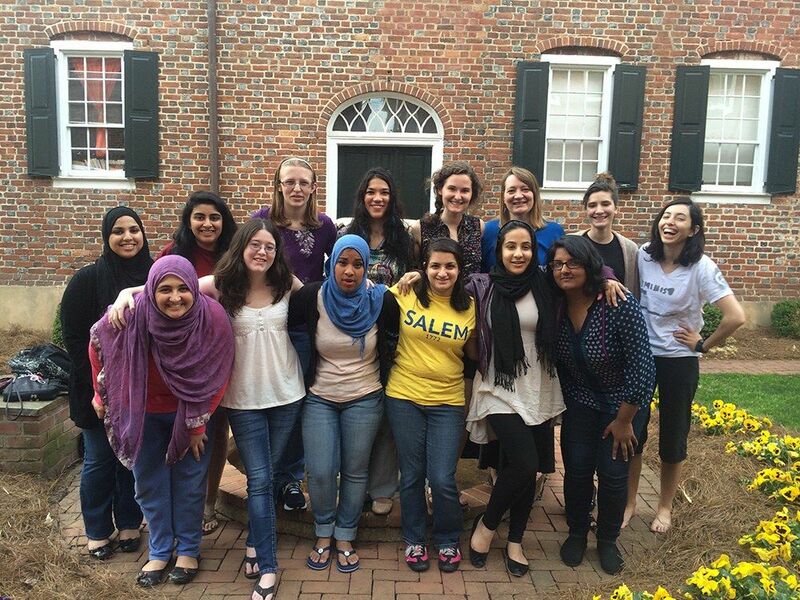 Salem’s Interfaith Council, headed by Otero and senior Keren Salim, played an instrumental role in its adoption by the Student Government Association earlier this month. The City of Winston-Salem was recognized as the 18th city in the world within the International Campaign for Compassionate Cities movement last July when Mayor Allen Joines and members of city council unanimously affirmed the charter. Approximately 30 cities now are part of the campaign. The local compassionate cities movement is coordinated by Compassionate Winston-Salem, which was organized by Interfaith Winston-Salem in 2012. Compassionate Winston-Salem is developing programs to bring compassionate environments into elementary schools, the workplace and elsewhere, according to coordinator Drea Parker. Salem College is the seventh college in the United States to endorse the charter. Others are Randolph College in Lynchburg, Virginia; Spalding University in Louisville, Kentucky; Claremont-Lincoln University in Claremont, California; University of the West in Rosemead, California; Tenzin Gyatso Institute in Berne, New York; and Western Connecticut State University in Danbury, Connecticut. The Charter for Compassion was created in 2010 under the leadership of Karen Armstrong, a leading writer on world religions; His Holiness the Dalai Lama; and Archbishop Desmond Tutu. It calls for everyone to return to the principles of the Golden Rule: to treat others as you would like to be treated yourself.